Today's Gacha of the Day is by Liret. 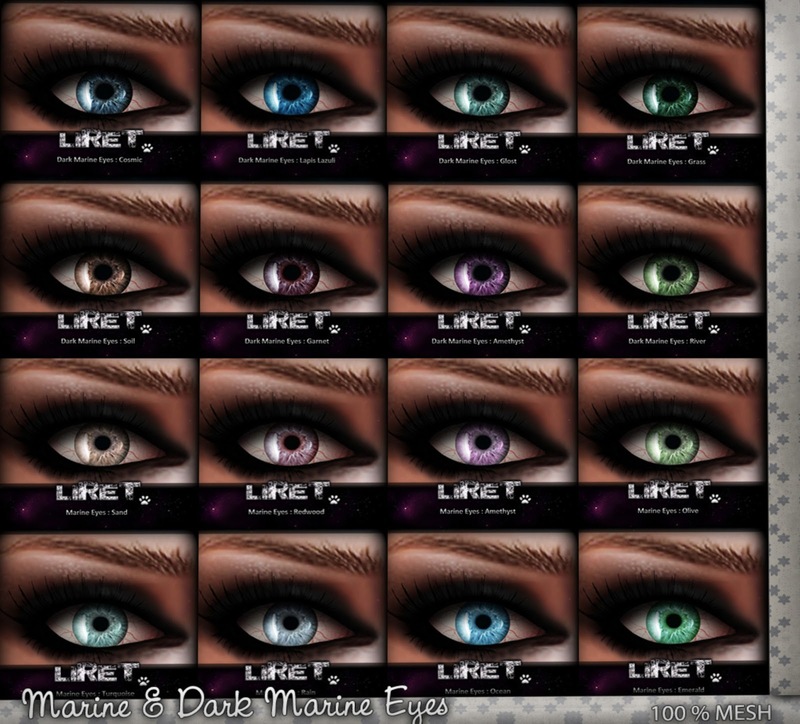 All sorts of lovely eyes, for the eye collector in you. It's only L$10 per play, so grab some new peepers! You can find all gachas, as well as other items, on the second floor of Shop Free*Style. Just take the Teleport up.